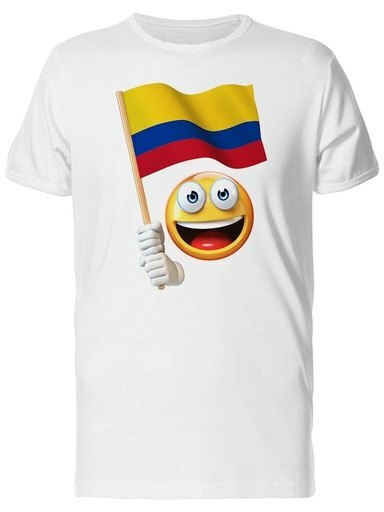 Description: Happy Emoji With Colombian Flag. Men's White T-Shirt. Happy Emoji With Colombian Flag. Men's White T-Shirt. Enter the details of an online store that carries UPC 000383402354 below. The store's URL must go to a valid product page that has the product displayed with pricing information.